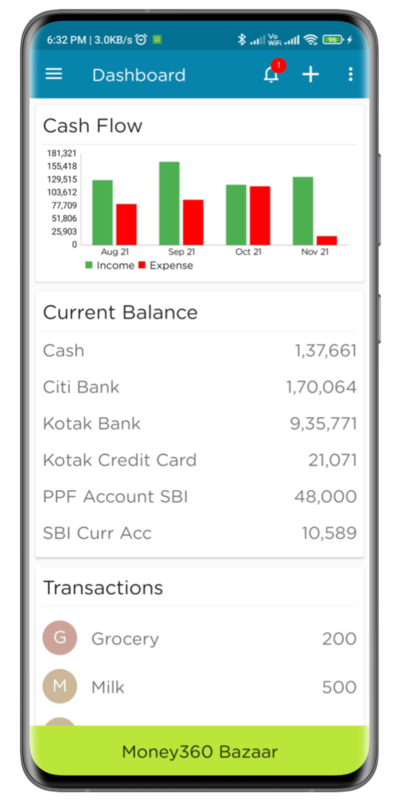 Get an overview of your current financial status on Dashboard. Add a new Income, Expense or Transfer transaction. Easily navigate to entire app through Navigation Drawer. Add a new account on Add Account screen. 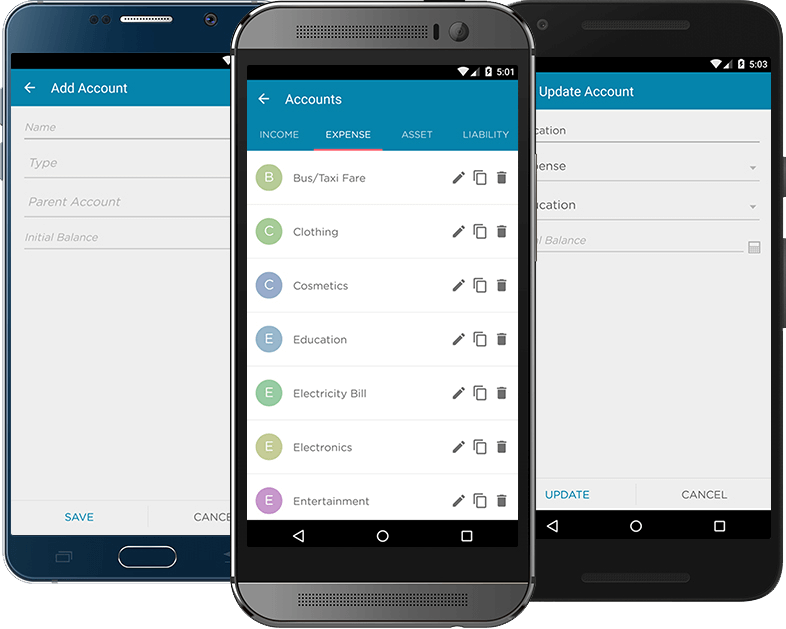 View existing accounts by account type on view accounts screen. Edit, Copy or Delete a particular account. Add Income, Expense or Transfer transactions. Get Daily, Weekly, Monthly or Yearly view of existing transactions. Easily find specific transactions by giving combinations of search criteria. View many useful reports to get insightful trend analysis of your finances. 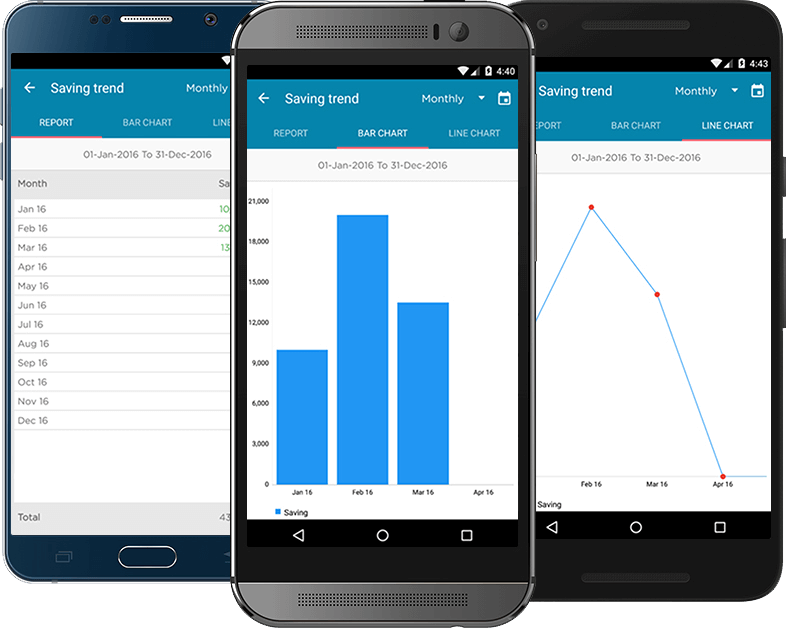 Get reports in plain REPORT, BAR CHART or LINE CHART formats. See report data by Month, Quarter, Year or custom dates. Drill down the summary report further up to transaction level. 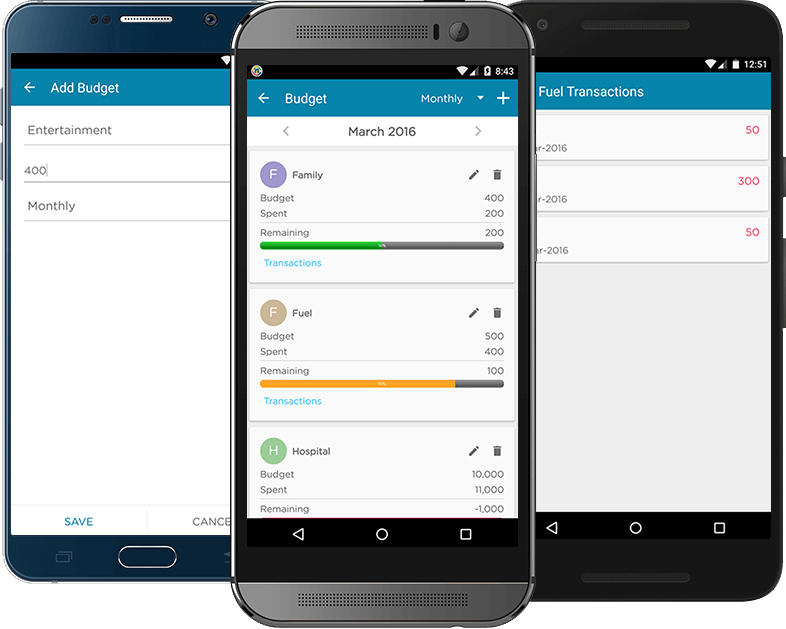 Create budgets to track and control your expenses. Create Monthly, Quarterly or Yearly budget for any given account. View current status of the budget in terms of the expenses incurred so far for that particular account. See the list of transactions against that budget. Easily Edit or Delete a particular budget. Get an alert when your expense exceeds the budgeted amount. Set a reminder to add a transaction in future or set a recurring transaction or just set a reminder without any transaction. View existing reminders with amount and next due date. 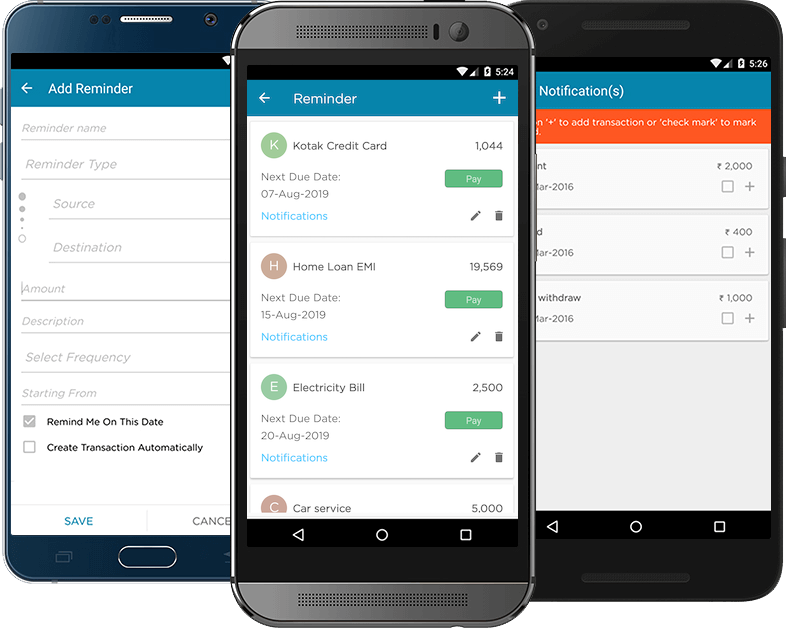 Get alerts and notifications when a reminder is due. Mark a reminder as paid or create transaction from it when it is due. Easily Edit or Delete existing reminders. Now no more manual transactions. 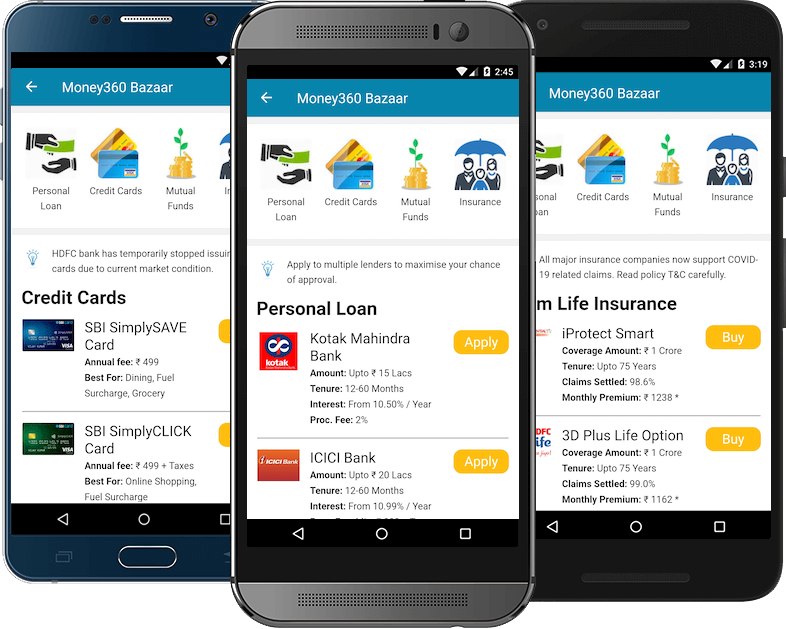 Money360 will create bank and credit card transactions automatically from your phone SMS. Like the app? Download it now for FREE!